*Affiliate link. See disclosure here. 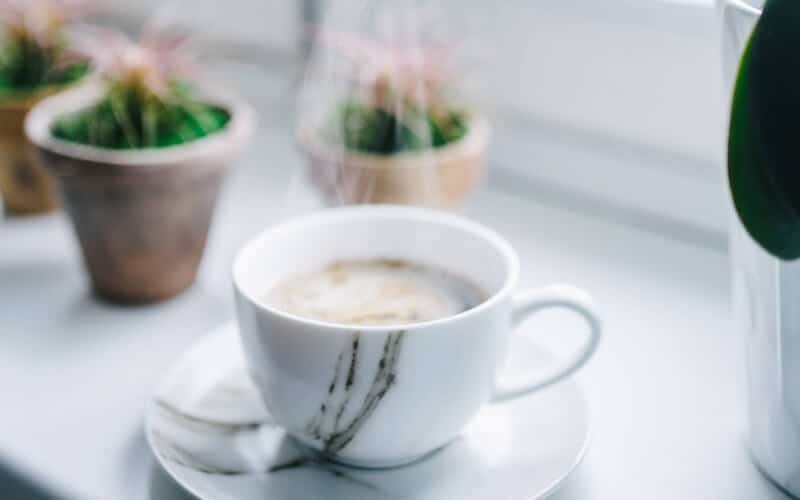 Do you often find yourself wondering when you’re going to get a break, when you’re going to finally have some luck in life or when things might get that little bit easier for you? If you’re anything like me, you may be quietly asking yourself these questions from time to time. Why can’t I make enough money to (enter goal here)? How come others seem to have it all together? Why don’t people appreciate what they have when I can only dream of it? How come I struggle with finding balance? Will I ever be noticed for my true strengths? Why do others have more luck than me? What do I need to do to have people appreciate me? How will I find true happiness? When will I seriously get a break?! These questions are different for everyone, but they are the same for everyone too. They have the same theme: When is it my turn? Here’s a little something I have learned and I constantly work on to remember. IT HAS BEEN YOUR TURN! You have been blessed with wonderful, life-changing experiences. You DO have things in your life to appreciate and be eternally thankful for. 1. Take note of all the things in your life you are grateful for… and find a way to truly appreciate them. Write down what you appreciate and make categories for each (Home, Work, Health, Friendship, etc). Think broad… why are you lucky to live where you live (your city/country)? What opportunities do you have in life because of where you live? STOP comparing yourself to others. 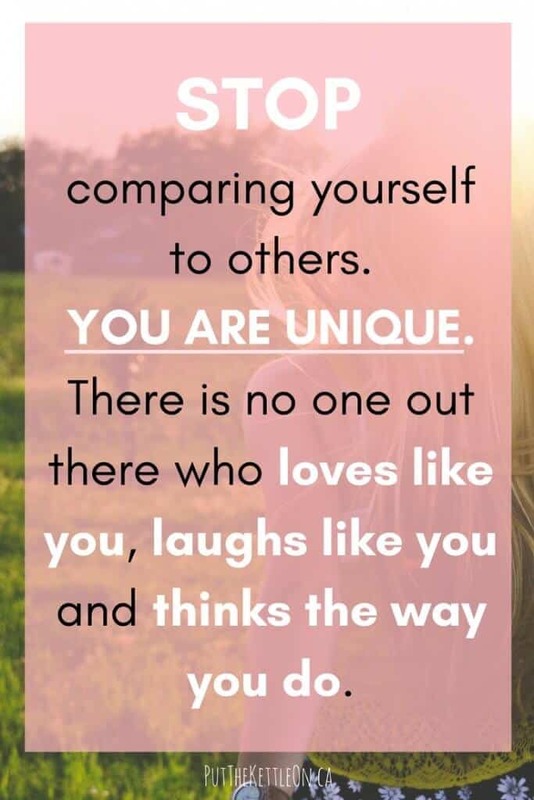 You are unique. There is no one out there who loves like you, laughs like you and thinks the way you do. When thinking of what you have in life that is beautiful – remember that what you are grateful for comes in all shapes and sizes. Think about and appreciate the simple things around you… the clean air, the freedom to express yourself, having access to books, parks and kind people. Take note of the hard work you have put into achieving a goal. Whether you reached your goal or not, what did you learn from working on it? How has this made you grow and changed you for the better? 2. Think of those around you. Are there people you know who don’t have what you have? Do they work hard, dream and pray to achieve something you might take for granted? I would say the answer is yes. Yes, you have things others can only dream of. So, what to do about it? Sit back and truly understand that what you have is important… unique… special. Also, realize that when others are going through tough times, understanding how blessed you are will help you be a better friend, colleague or neighbour to those who are still planning and dreaming to achieve what you have today. This beautiful journal is broken out into the seasons of the year and gives you specific writing prompts designed to get you to focus on all the good stuff in your life. This makes the perfect gift for yourself so you can see the beauty in your life today. 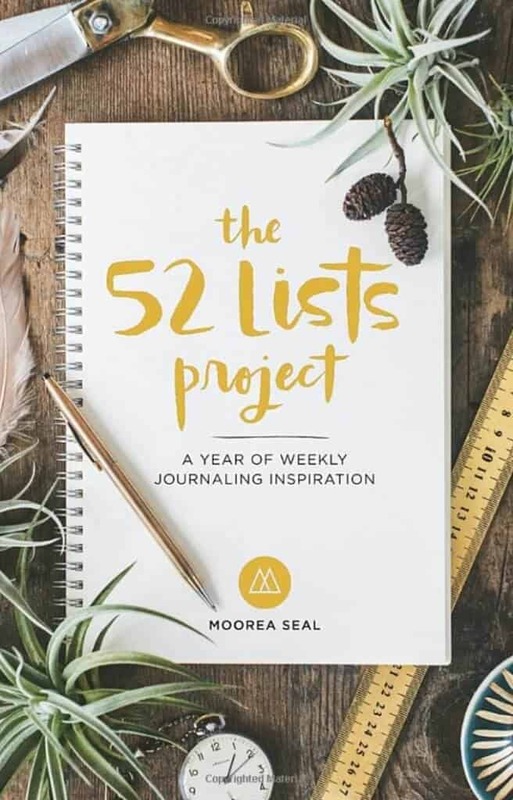 Click here to grab your copy of the 52 Lists Project. Want more ways to get inspired?! 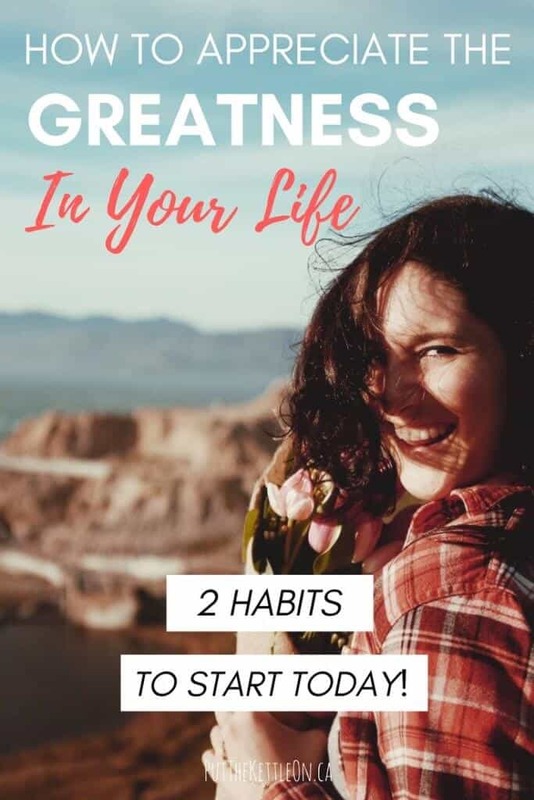 Check out this motivational post from my friend April over at Love Our Real Life where she shares her Top TED Talks to inspire you this year! Lovely post, so much truth in it. It’s hard sometimes not to compare yourself to others, especially when you think they may “have it better” or have what you want. Thanks Julie 🙂 I agree and the crazy thing is that they are most likely thinking the same way about someone else. Even those who seem to have it all together are most likely comparing their situation. We all need to stop! What a great post, Yolanda. In terms of my career, I certainly fall into the “compare and despair” category; it can be really tough, especially when combined with a healthy dose of perfectionism. I love your prompts and reminders. I’ll definitely keep them in mind as I embark on 2018 with gratitude. Wonderful post! I have a daily gratitude journal that I write in before bed. Even something as small as a pb&j sandwich can be a greatness. Loved this! It’s so true – comparison is the quickest way to feel self-defeat. Thanks Kelsey. It sure is. Comparison is a nasty thing! I agree with you, taking note of all that we have been blessed with changes our perspective. I think we can even be thankful for the things in our life that we may see as struggles! I completely agree with you Rachel – the struggles are so hard, but then what we learn from them help us in so many parts of our life. Thanks for your note! This is wonderful! And thank you for the reminder to be grateful for and appreciate what I have and might take for granted when others work so hard and yet struggle to have the same or never get there. This is definitely a lesson I needed to read today. Love this! I tend to dwell on the negative and don’t give myself enough praise for my achievements. I’ve started journaling about my daily wins, no matter how big or small. The positive reflection has helped tremendously! Thanks so much Corey. That means a lot coming from you 🙂 YOU DO have SO much to offer. I think this is so true! 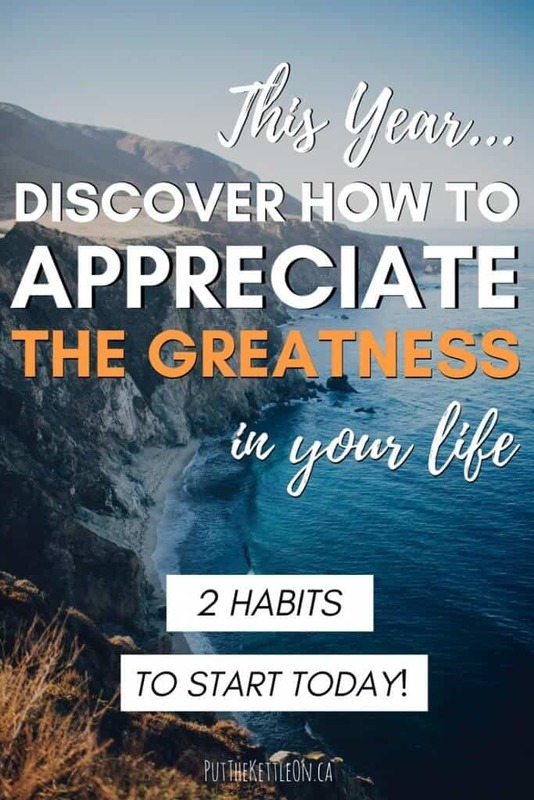 We get so wrapped up even in goal setting for the new year that we forget to appreciate the amazing things we already have. I find it hard sometimes not to compare, but then I remember that the Bible says we are not to compare ourselves to others. Each of us does have a unique walk/life and no one is the same. Thank you for this reminder! I really enjoyed reading your post, I don’t have a problem being grateful for all that I have but I do have to watch comparing myself to others and not fully appreciating myself. I have to remind myself of the gifts and talents I’ve been given and how they have impacted others. loved this. Everything about it was great. I even tweeted one of your tweets because I loved this post so much. I think it’s always great to remember to be grateful . One way I do this, is I write it all down. Keeping a journal just helps me remember how blessed I am. Thanks so much Marvina! I’m really happy it resonated with you and that you DO write it all down in a journal. So important 🙂 Thanks again for the note! I loved this post! I can truly relate to it! I think it’s so important to stop comparing yourself to others and be grateful for all that you have! Thanks Allie – 100% agree with you! These are great tips! I am all for finding more gratitude in 2018! so much great advice in this post!!! Laying down comparison does so so much! I needed this today! I was having a big “when’s it my turn” moment all week! There are so many people out there that would look at my life and think I am so lucky. Great read. So good to hear Sarah – thanks for the feedback! These are great! Whenever I’m feeling discontent I always always always focus on gratitude. There’s so much to be thankful for! It is so important to be grateful for what you already have. It does help put things in perspective, especially when you really want something! It definitely helps put things into perspective – especially need you need a little pick me up. This was a breath of fresh air and so much truth to everything you touched on. Sometimes, we have to be reminded that no matter what we can always be grateful for something. Love it! Thanks so much Vanessa! I’m glad you can relate. I think we all need a reminder at times. Really like your post. We forget to pay attention to what we do have don’t we? But you reminded me to take notice of all the blessings in my life. Thanks. This post is a wonderful reminder! I think the key to being content is to be appreciative of what you have! I’m definitely going to try to be more grateful in 2019!